L&T Finance Walkin Drive for freshers in Mumbai On 3rd June 2014. 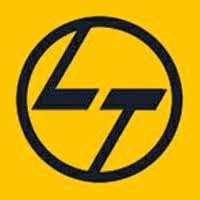 L&T Finance Job Openings in Mumbai for freshers. L&T Finance Walkin Drive for HR Associate Position. Any Graduate freshers are eligible to attend this drive. Interested and eligible candidates can directly walkin to below mentioned address. The person would be a part of the Central Sourcing Team and will be responsible for sourcing candidates for the various open positions of the company which would be at PAN India level. The incumbent will be on the rolls of a third party consultant. Any graduate with 0 to 6 months experience into banking recruitments would be an ideal candidate. Candidate will working on third party rolls. Salary will be in the range of 10 – 12 thousand monthly gross. L&T Finance Ltd (LTF) is a wholly owned subsidiary of L&T Finance Holdings Limited. It was incorporated as a Non Banking Finance Company (NBFC) in November 1994. Through LTF, L&T aims to make a string foray in the ever expanding financial services sector. As a business philosophy, we fund income generating assets/activities while maintaining a clear focus on returns. L&T Finance offers a spectrum of financial products and services for trade, industry and agriculture. The company’s focus segments are corporate products, construction equipment, commercial vehicles and tractors. Despite the turbulence in the financial services markets over the past few years, L&T Finance has adapted well to the changing market dynamics to remain consistently profitable.